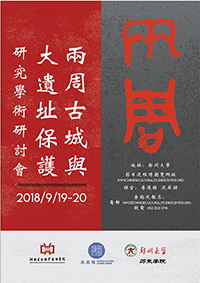 Jointly organized by the Henan Provincial Institute of Cultural Relics and Archaeology, the School of History of Zhengzhou University, and Chinese Cultural Studies Center. This conference will look at significant and new findings on Zhou dynasty city sites, and provide an international forum on the conservation of major archaeological sites. The conference will be held at Zhengzhou University, Henan.